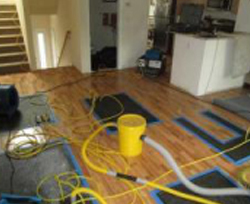 First Call Restoration is a 24 Hour Emergency Flood/Water, Mold, Sewage, and Fire/Smoke Restoration Service. We are available 7 Days a week with an immediate response time. Our capabilities range from residential homes to multi-level commercial buildings. We are IICRC certified in all the services we offer. We follow Environmental Protection Agency (EPA http://www.epa.gov/ ) and IICRC S500 and IICRC S520 ( iicrc.org/ ) Standards of Remediation. Our Water, Sewage, Fire/Smoke, & Mold Restoration experts have the training/certification and experience necessary to handle the most challenging situations. 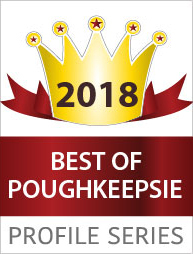 First Call Restoration is locally owned & operated, making certain that no matter how large the Damage Restoration Project, it will be handled with a personal touch by the owner and our certified technicians. 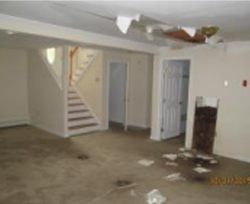 If you hire the right water damage restoration can company, the process goes much smoother. As you look around and see your home or office covered in water, you question how much can be salvaged. The good thing is, the sooner you call, the greater chance of saving a good portion of your things. Our emergency restoration service comes prepared with all the right tools and equipment. When it comes to your home, you do not want an amateur on the job. We are IICRC certified and insured. We're here to take care of all your concerns, answer all your questions, do the job right the first time and have it done in a timely manner. Mold remediation is a vital part in making your home a healthy living area again. Many harmful side effects from mold can occur. Our emergency restoration service will leave no stone unturned making sure your home is mold free. Do not take any chances if you suspect mold is present. Do not try to tackle on your own, either. Often times, home remedies like bleach can make the problem worse. Call our mold remediation team to make sure your home is returned to a safe and healthy state. We won't leave until the mold does. Fire Damage RestorationWe do fire damage restoration for residential, commercial, or industrial properties. No matter the size of the property damage, our emergency restoration services know that you are anxious to get back in your home or office. Getting you and your family back to the way things were is our #1 priority. Every day your business is closed is a day you are not making money. We are always on call to assist you. We believe in tailored service and will work with your schedule to get the job done as soon we can. Let us help you rebuild and get your home or business back in working order. Crime Scene cleanup is best left up to professionals. Not only making sure bloodborne pathogens are eliminated, but also having the sensitivity training needed for these types of traumas. We do crime scene cleanups and will work with you to ensure privacy and that your home is contaminant free. We will arrive in an unmarked van to ensure your privacy. If you are in need of crime scene cleanup, call our emergency restoration services team today! We provide emergency restoration services in Poughkeepsie, Hopewell Junction, Newburgh and all surrounding counties.